The Icelandic Coast Guard has already established partnerships with many nations for joint 8search and security operations in the Arctic, and has in the past decade approached many more with collaboration in mind. However, both the head of the Coast Guard and its director of operations make it absolutely clear that it is not going to take over search and rescue operations in the area. Each nation is responsible for its own affairs. Iceland’s rescue area is enormous. The country lies on the periphery of the area called the Arctic, and consequently its waters are points of both entry and exit. The traffic is constant and there are many responsibilities, as is confirmed by both Georg Kr. 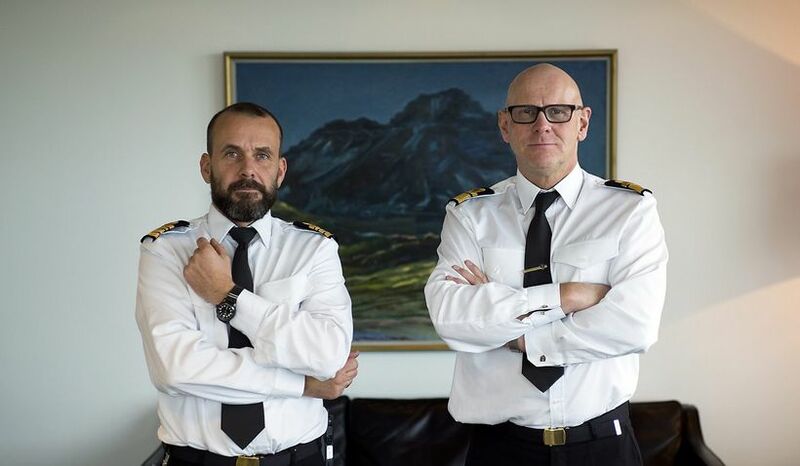 Lárusson, director of the Icelandic Coast Guard, and Auðunn Friðrik Kristinsson, the Coast Guard’s director of operations. “Everything that happens in our search and rescue area and further north, along with everything that happens in the eastern part of Greenland’s search and rescue area, has an impact on Iceland in one way or another,“ says Kristinsson. 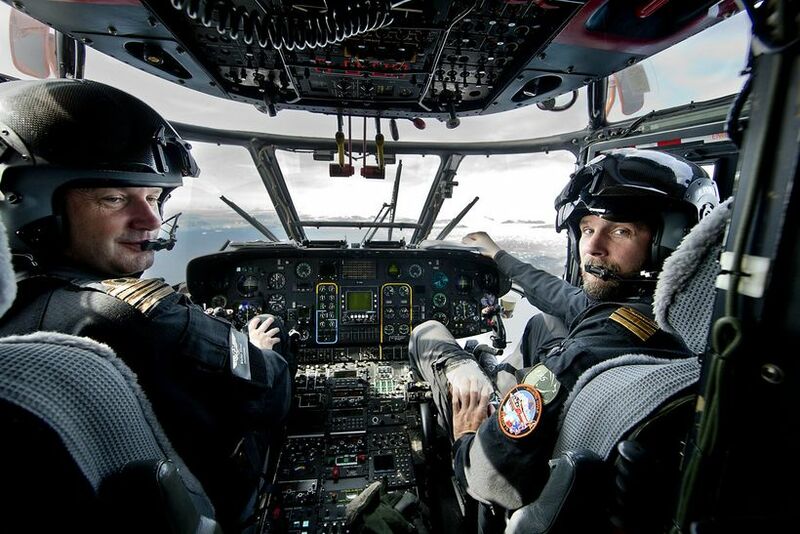 Recently the Coast Guard participated in a big exercise in Greenland where the readiness of local forces to react to major accidents was assessed. “Iceland’s role in establishing preparedness, providing security and transporting people to and from the east coast of Greenland is becoming bigger and bigger because of the island’s lack of infrastructure. Exploitation of minerals has not advanced as rapidly as was expected, but the increase in tourism more than makes up for that,“ says Lárusson. Kristinsson adds that currently the situation in the area north of Iceland is being re-assessed with a focus on the development in traffic in recent years. He says the biggest change is in passenger cruises. The have increased significantly in number in the last five years, and the cruise ships have become bigger. The rescue area in the North Atlantic is well defined and Lárusson emphasises that rationality is the key to Iceland’s approach. “We are just one of many actors in that big play. We have already developed co-operation with many actors in matters of search, rescue and security in the past decade. It is, however, perfectly clear that we are not taking over search and rescue in the Arctic. Each nation is responsible for its own affairs in the area. What we can do is offer valuable assistance because of the location of Iceland, and the resources available in the country, such as airports, hangars, harbour facilities and so forth, as well as Icelandic know-how in the field of search and rescue. Accordingly, we could become an important partner out of our defined rescue area, on condition of being under the command of the country responsible for the area in question,“ says Lárusson. He says Iceland has much to offer in terms of equipment, experience and knowledge. In addition, there is a comprehensive network which includes the Coast Goard, the police force, the volunteer rescue organisation Landsbjörg, the Red Cross, the public security agency Almannavarnir, the aviation company Isavia and the national health service. In his opinion it is well worth exploring whether this system might be used more effectively by other countries. On the subject of collaboration with other nations, Kristinsson says Iceland’s greatest strength is individuals with comprehensive experince in search and rescue operations under extreme circumstances. They know how to operate in the dark, in bad weather and heavy seas. Icelanders also have invaluable experience in dealing with natural catastrophes. “That is important. Many who sail here from southern seas get confounded by all the darkness, fog and ice. It is something they have never seen,“ says Lárusson. Kristinsson foresees that the Coast Guard will have a more important role to play in the Arctic in the coming years, but it is hard to see how quickly that will happen. “What we need to do now is strengthen our infrastructure in order to be ready when the time comes,“ says Kristinsson. Rescue helicopters need to be renewed, and the operations of the Coast Guard’s ships and rescue and surveillance capabilities from the air must be re-enforced. Is the infrastructure strong enough? Right now it is debatable whether the infrastructure is strong enough to fulfill this role, and Lárusson maintains that it is important for countries in the Arctic to realise that preparedness must be increased if forecasts of increased traffic remain accurate. This has been outlined in one of the Coast Guard’s reports. Kristinsson mentions pollution as an example. The only ship from Norway to Canada equipped to clean up oil pollution is the Coast Guard vessel Þór. “Should an environmental accident take place in our area or off the east coast of Greenland, our ship would be the first to arrive on the scene. It would take several days for the next ship to arrive. We are, to put it another way, always the first responder, and that puts more responsibility on our shoulders,“ 8says Kristinsson. Lárusson adds that even though many foreign ships are better equipped to deal with such catastrophes than the Coast Guard’s ships, they will not be the first ones on the scene. Iceland’s closest partner in Greenland is the Danish military authority, which not only is responsible for the area west of Iceland, but also to the east due to its relationship to the Faroe Islands. Accordingly, Denmark is very prominent in Greenland and has in recent years been increasing security preparedness there. "We have to consider closer collaboration with them, working both ways; the Danish Navy helping us, and us helping them. This collaboration has been splendid so far,“ says Kristinsson, adding that the collaboration is presently being expanded further in various fields. One issue is whether it would be convenient to equip the Coast Guard with mobile anti-pollution devices to respond to environmental disasters. Iceland has been engaged in similar negotiations with Norway, but according to Lárusson they have not advanced as far, and collaboration with Norway would never be as extensive as with Denmark. In relation to this, Kristinsson talks about the Arctic Coast Guard Forum, which is now being established as a platform for all the coast guards in the area. “It is very important to work closely with them, not least in the field of communications, which is a reason for concern in the Arctic. They are limited in this area, and it can be hard to establish communications, especially in the shadow of mountains in deep, narrow fjords,“ says Kristinsson. The Arctic Security Forces Round table is another platform with the purpose of strengthening military collaboration in search and rescue operations, communications and security matters, and to facilitate co-operation between militaries and civilian responders. “Certain firewalls have to be breached because there is reluctance to share any information with other nations. In general, however, there is great interest in co-ordinating certain aspects between the militaries, even though special circumstances in world affairs have caused a minor backlash in these matters. In addition to nations with direct interests in the Arctic, nations such as France and Germany have shown growing interest in the area in the past few years, and ships from their navies have paid us visits. These nations have been making their presence felt in the area," says Lárusson. Even though Iceland has no military, Lárusson maintains it is necessary for the country to collaborate with foreign militaries in matters of security and rescue. When asked whether international financing is a possibility for these purposes, Lárusson says it has been made abundantly clear that this is not possible, and capital must come from a national source. “We are a small nation and it is not a given that we can maintain extensive security in a big area like the Arctic. But we do our best and try to use the best we can get from collaborating with our neighbours,“ says Lárusson. When asked if Iceland might possibly be facing unreasonable demands for providing security in the Arctic, Lárusson would not rule that out. “It is highly possible that companies running luxury liners far to the south are under the impression that there is greater preparedness than is the case,“ he says. Kristinsson adds that shipping companies are under no obligation to acquaint themselves with the level of preparedness, even though surely some must do so. However, the Coast Guard applauds rules which were recently adopted, the Polar Code, which entail increased demands about equipment on board ships sailing in the Arctic. Ideas about an international rescue centre have been circulating for a while, and currently a committee appointed by the ministers of domestic and foreign affairs is assessing the need for such a centre and how it would operate. “This steering group mandated by the Ministry of Domestic Affairs and the Ministry of Foreign Affairs is chaired by us here at the Coast Guard and we are supposed to deliver a preliminary report in the beginning of November,“ says Kristinsson.